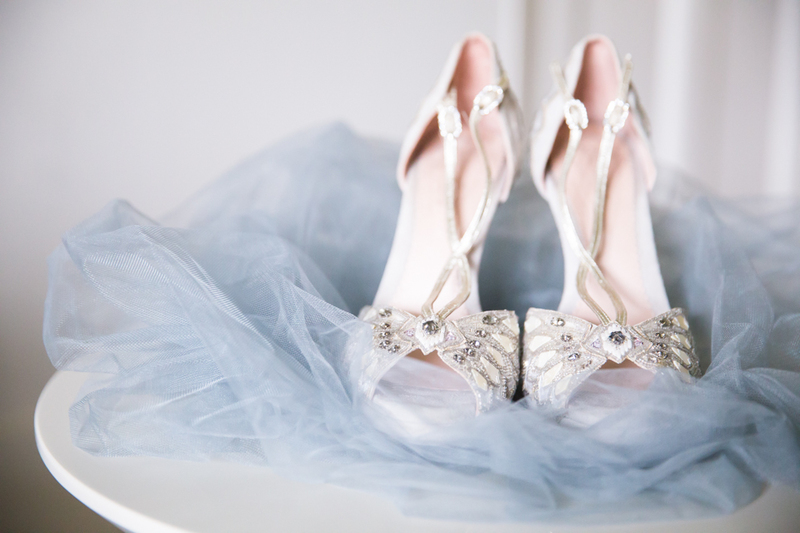 Allow me to in interrupt your day, to show you this elegant dove grey inspired multicultural wedding shoot! 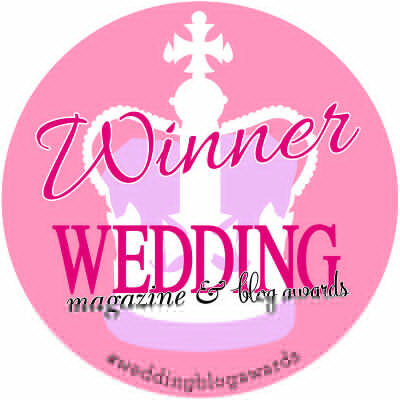 15th century historical hidden gem That Amazing Place was their backdrop for the shoot. 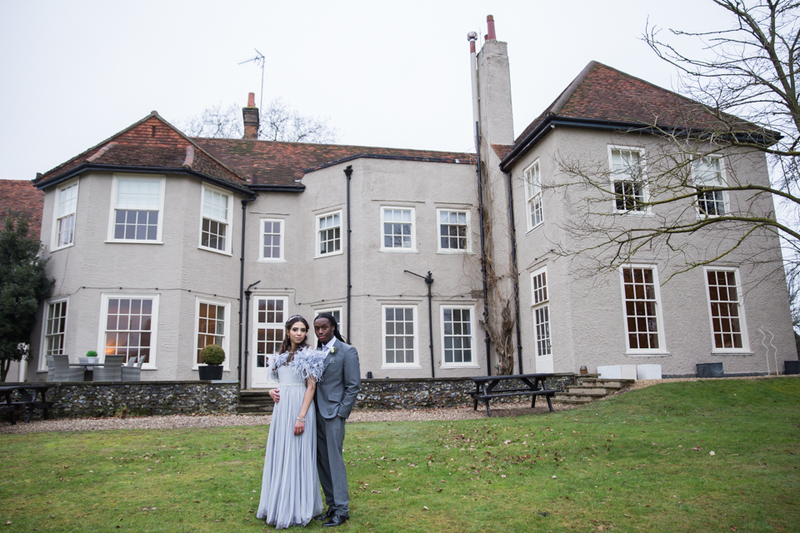 A beautiful venue in Essex, recently refurbished for couples who enjoy that luxury and modern touch and an exclusive use wedding venue. 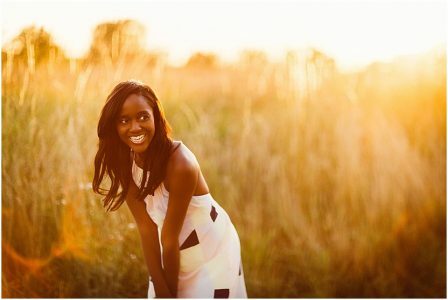 Enjoy these romantic images from Hannah Larkin and a behind the scenes video to give you a sneak peek by Jay Anderson Weddings . 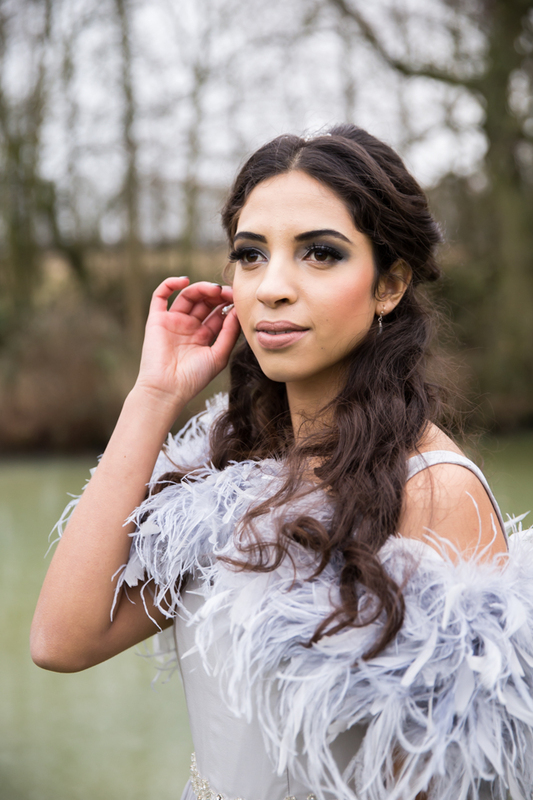 Read on to find out more about the inspiration behind the shoot and some ace tips on how you can recreate this look for your own wedding from Gilly and Hannah! 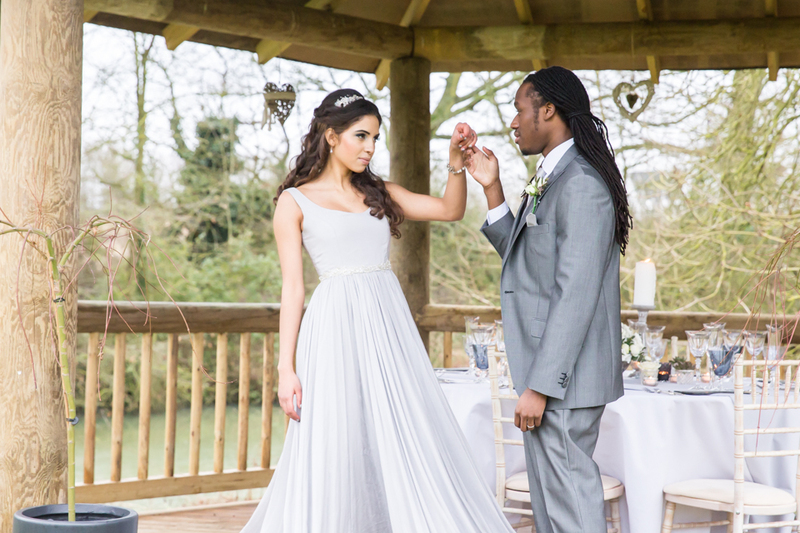 We were really keen to create a styled shoot that showcased and inspired couples from diverse backgrounds. 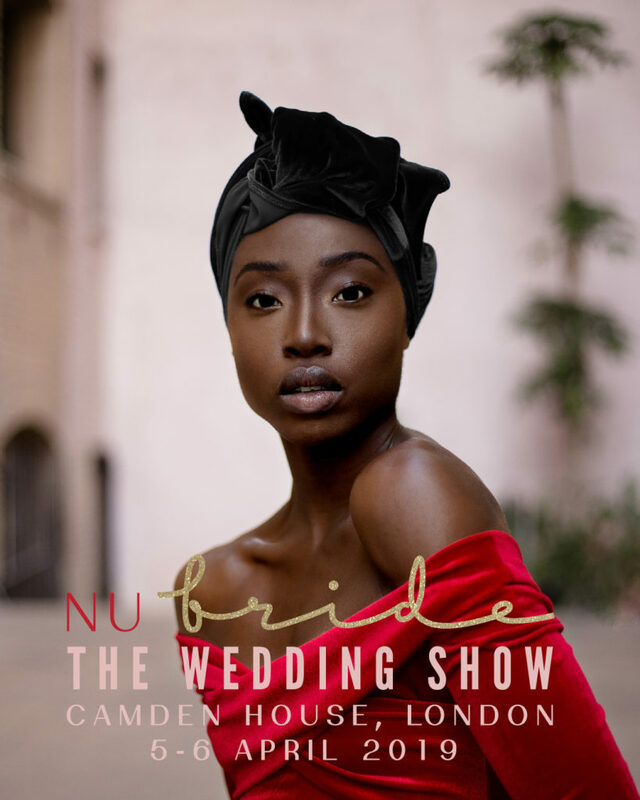 One of the things I love about being an international wedding photographer is that I am able to work with clients from a wide range of different backgrounds and ethnicities. 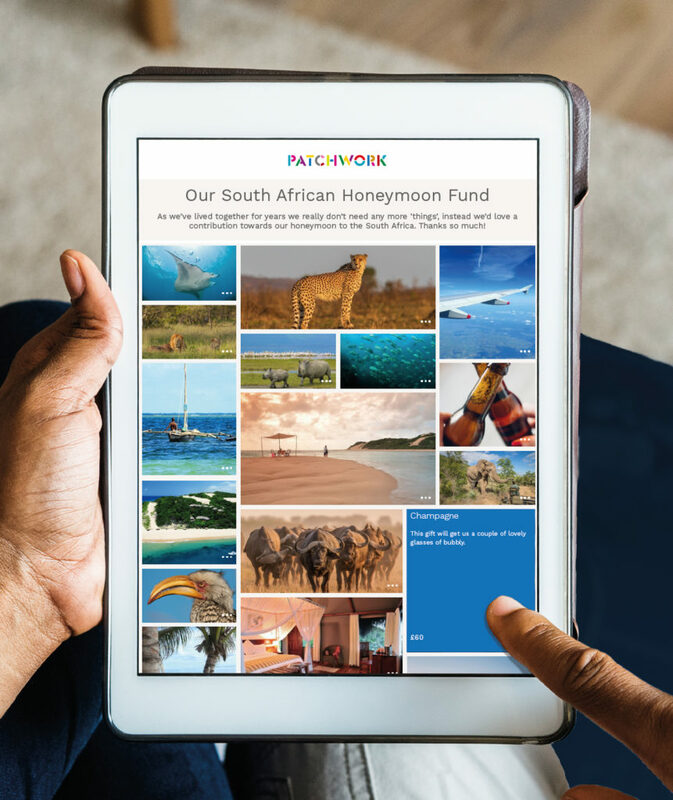 I want all my couples to see inspiration shoots featuring people they can relate to – and from a bride’s perspective, having had a multicultural wedding myself, I know how much I valued seeing images of other multicultural weddings when planning. 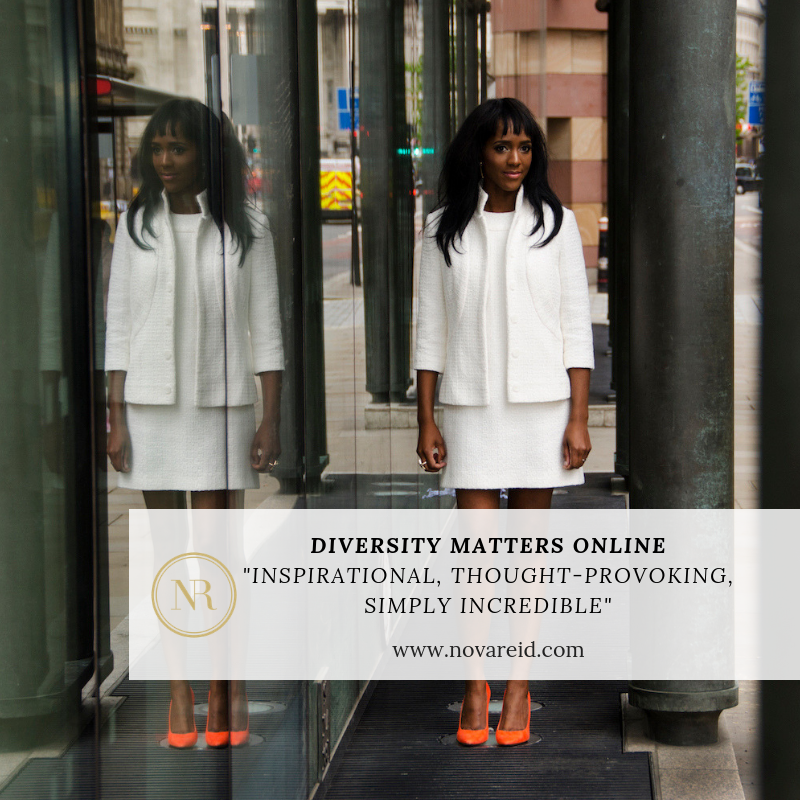 I aimed to create consistency with a simple, minimal look all featuring shades of dove grey. 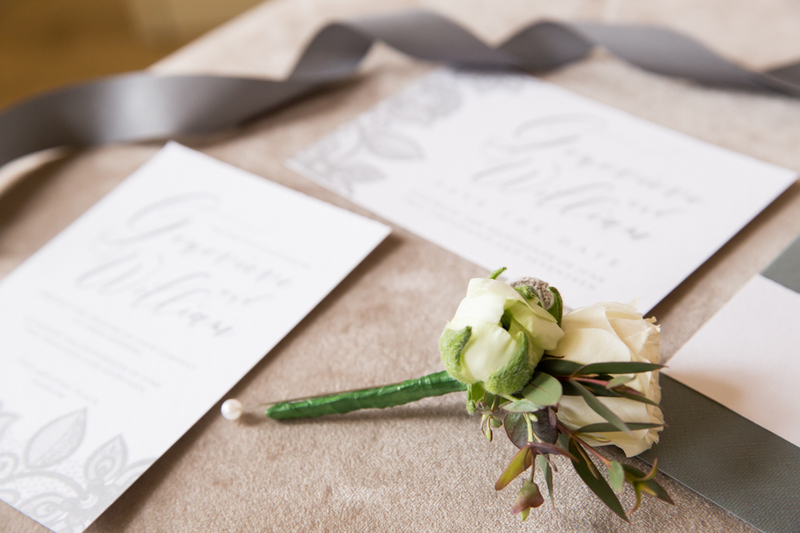 For the backdrop of this inspiration shoot we chose a Dove Grey Palette: Inspired by bespoke designer Ailsa Munroe’s beautiful grey silk wedding dress ‘Elin’ we wanted to show that shades of grey can be used to create a stylish and memorable look. 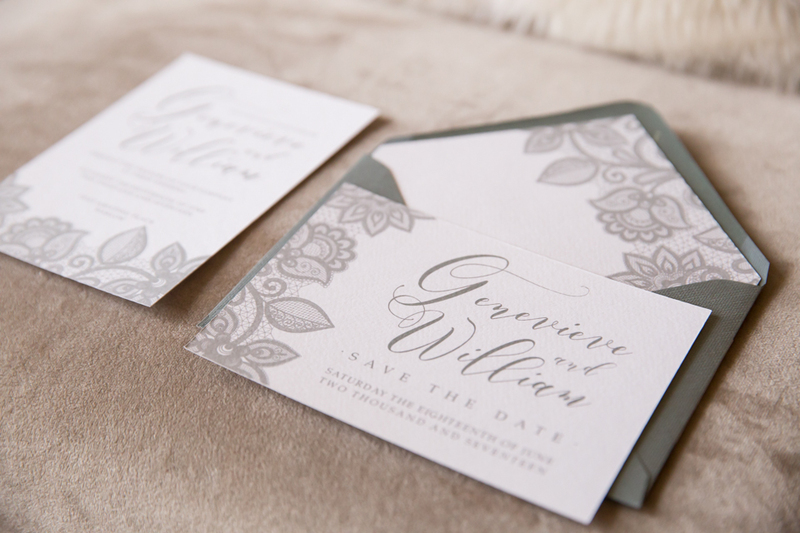 Grey lace detailing on invitations tucked in grey envelopes began the theme, continued by striking calligraphy welcoming guests by the talented Suzanne Oddy Design. 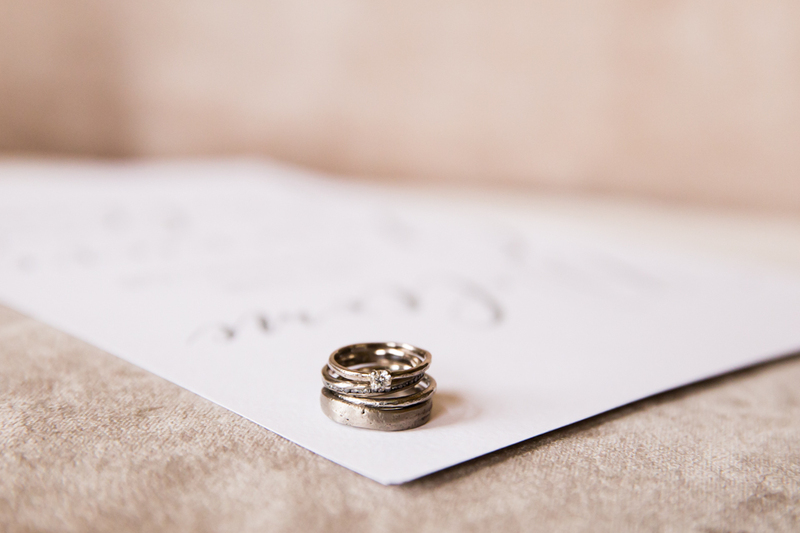 Simple 18ct white gold handmade rings using recycled precious metals were by Justin Duance were paired with silver and pearl jewellery from Donna Crain, while white flowers by the team at Browns Blooms & Balloons finished the look for both our bride and groom and continued into the table décor. 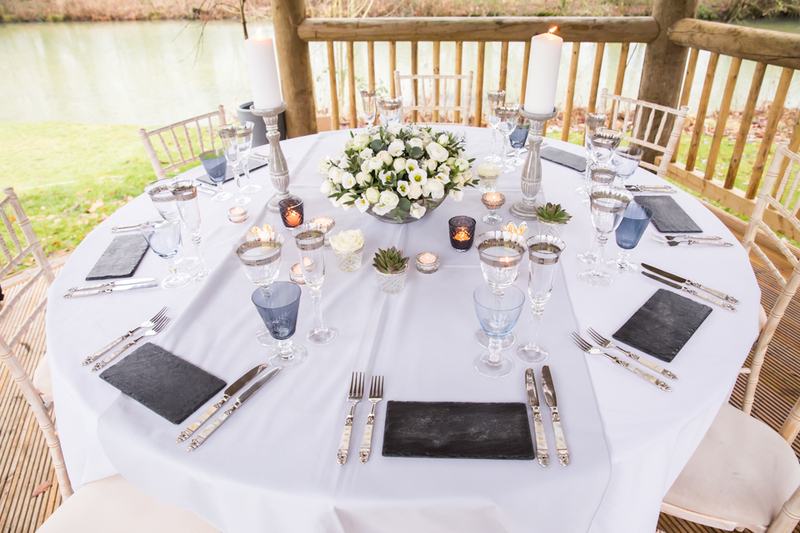 We kept the table décor simple and minimalistic with slate place settings partnered with stunning Oka mother of pearl cutlery and grey and silver glassware, from Couvert Hire. 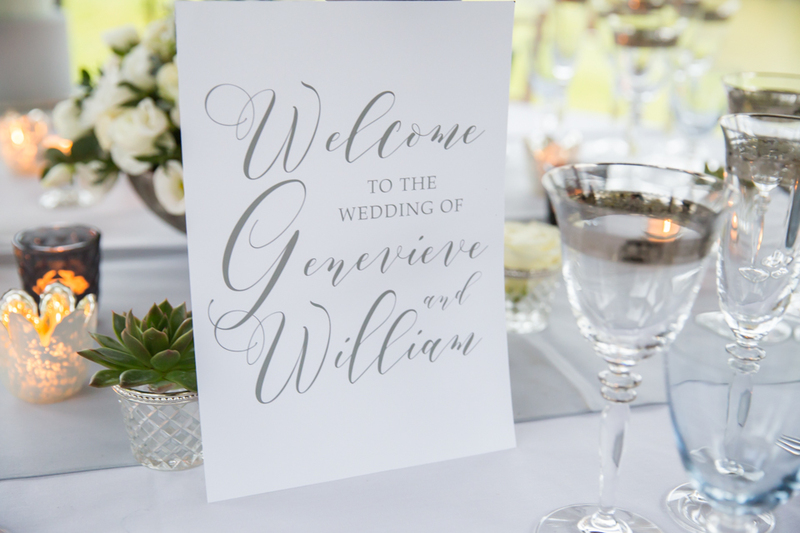 A pale grey table runner continued the colour theme through the linen, as a base for individual place settings in beautiful calligraphy. The aim was to create an intimate elegant table in dove grey, showcasing the colour theme in both glassware and table linen. 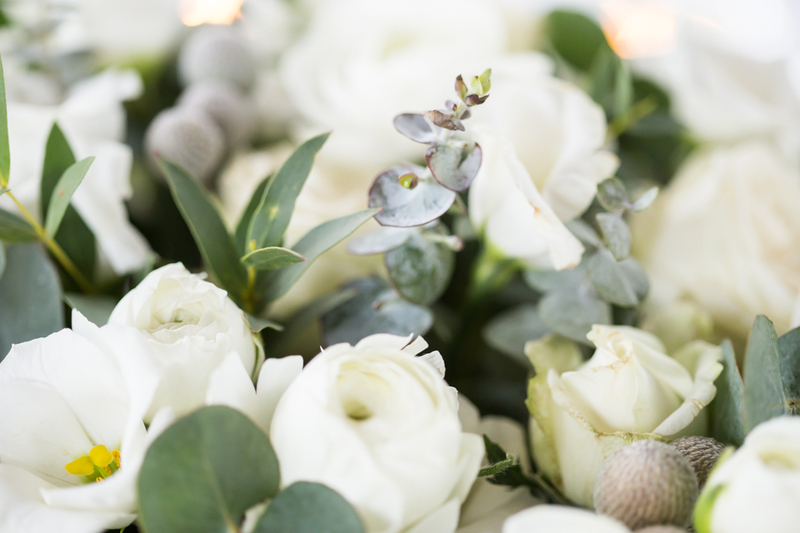 Our florist, created a beautiful low floral centrepiece featuring white ranunculus, lisianthus, brunnera and eucalyptus. The floral centrepiece was surrounded by small vases with single cream roses, and individual succulent plants, silver and grey tea lights, with white pillar candles adding height to the otherwise simple, low design. The bouquet and buttonhole included cream roses creating a simple but striking look. 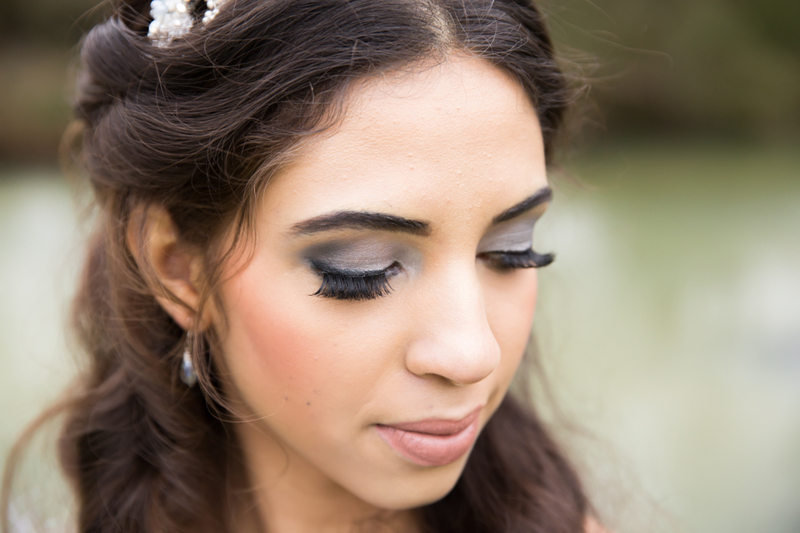 On make up, Bev at Makeuplogy created a soft look using a silver and white colour palette on our model, Ariana’s eyes, together with a natural lip colour to complement her skin tone. For hair, Helen from Brides Personified, created a chic loose beehive with loose curls lightly pinned to for a low beehive to show off the elegant hair jewellery by Donna Crain. 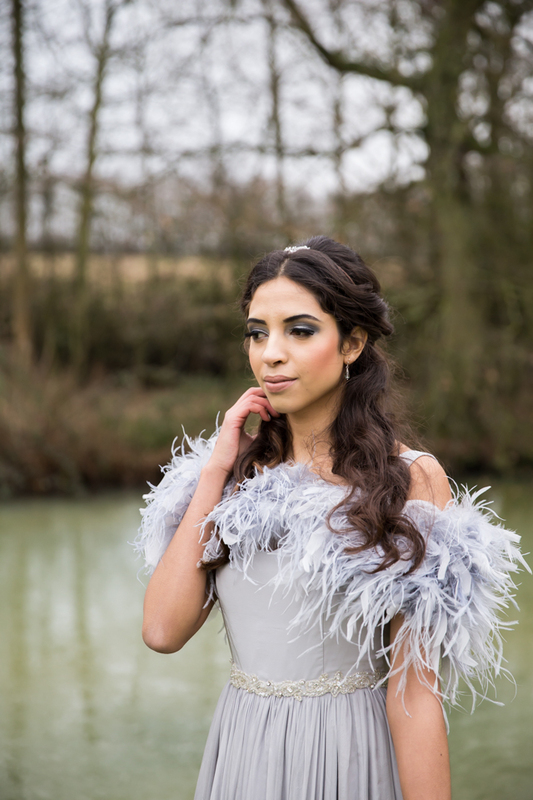 We used a grey feather bolero and silver and pearl jewellery from Donna Crain, accentuating the Ailsa Munroes beautiful gown and belt. 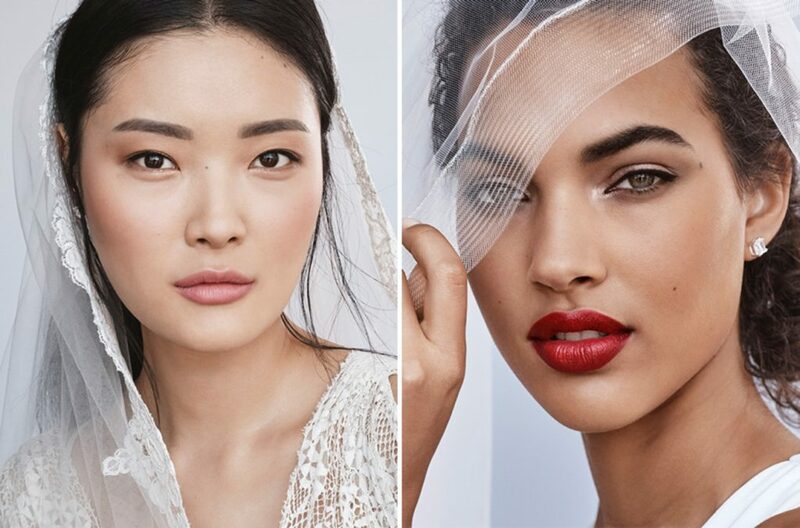 Paired with beaded heels from Emmy London and a delicate church length veil from Sash & Veil rounded off the look with shimmering ombré nails from Got Nails Got Beauty to add the finishing touch. 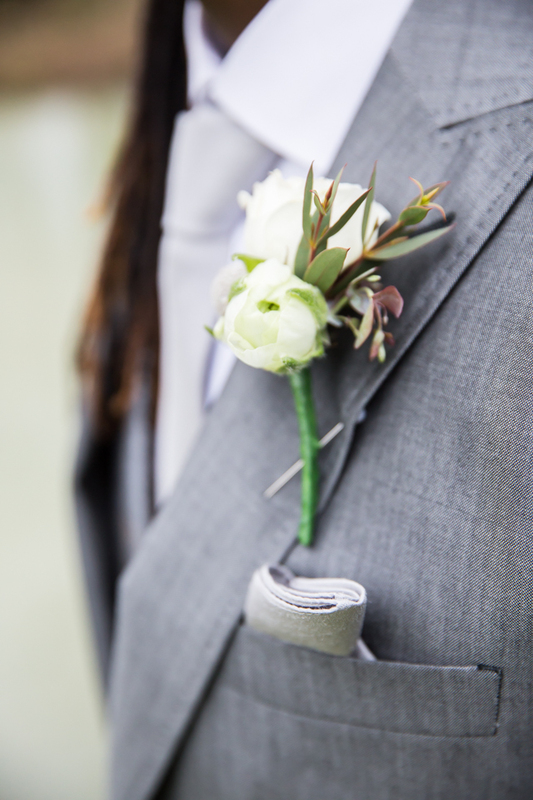 For our groom, we chose a grey suit paired with a tweed waistcoat, sliver tie and pocket square (from Hire 5). 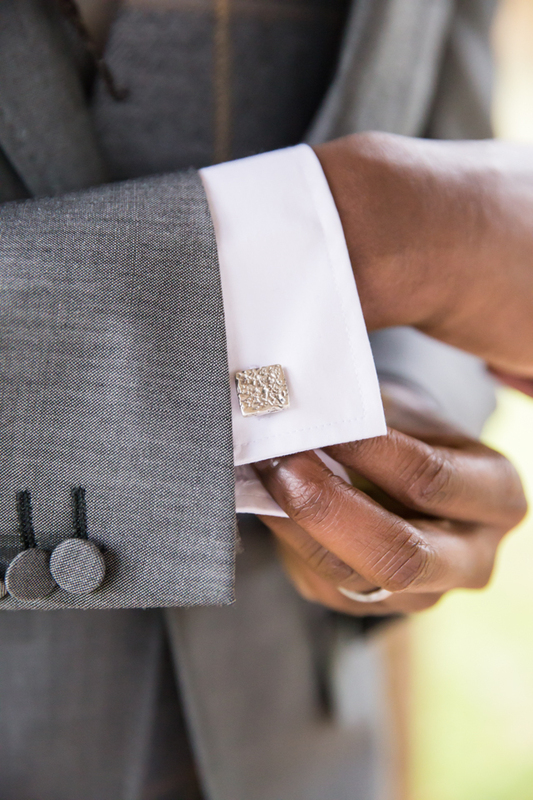 A simple buttonhole (from Browns Blooms & Balloons), silver ring and sandcast cufflinks (from Justin Duance) finished off the look. We chose an intimate setting as our backdrop in the beautiful grounds of That Amazing Place, we set up a single round table in the gazebo, which lends itself perfectly for an intimate celebration. Sheltered from the elements, but open-sided, the gazebo allows views of the lake and former monastery and provides a light and airy feel. Don’t worry about exactly matching colours – the beauty of using shades of grey is that they will all go together! Use colour where it might not be expected – a coloured wedding dress or veil is unusual and striking, opting for coloured nails instead of a traditional French manicure is an easy way to add colour, whilst coloured glassware helps continue your theme through the drinks reception. Not everything has to be grey – using a pale grey table runner on a white table-cloth creates an elegant look and incorporating white and green with flowers and succulents also adds interest. 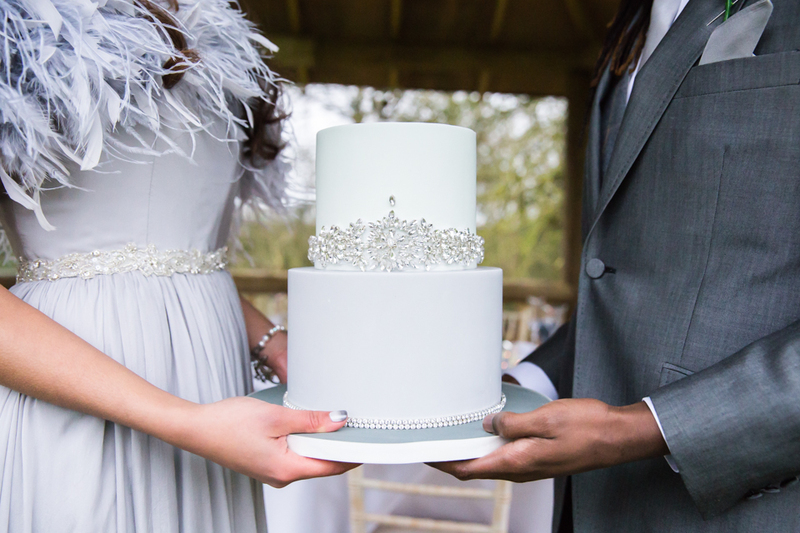 Tell all your suppliers about your colour theme – this allows the colour palette to be incorporated throughout your day from your invitations right through to the cake cutting. 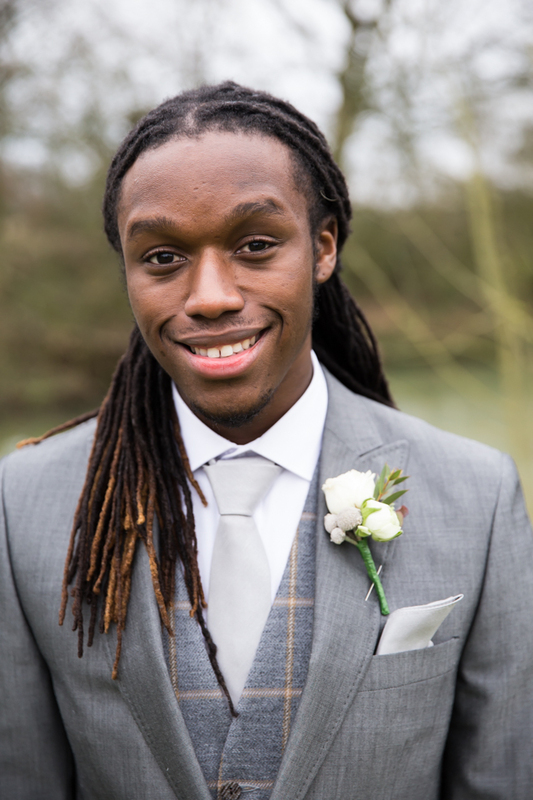 Use contrasting textures to add interest – the silk wedding dress and tie contrast beautifully with the groom’s tweed waistcoat. 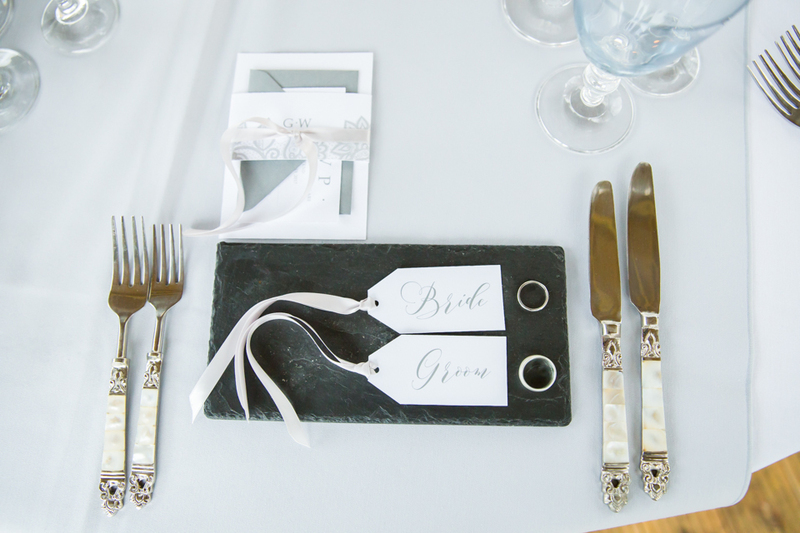 Mix and match your tableware to create a unique look – we used slate place settings, mother of pearl cutlery and silver patterned glassware. If you’re on a budget keep your décor simple – single roses or small succulents in pots combined with tea lights is a simple but effective way to decorate your table. 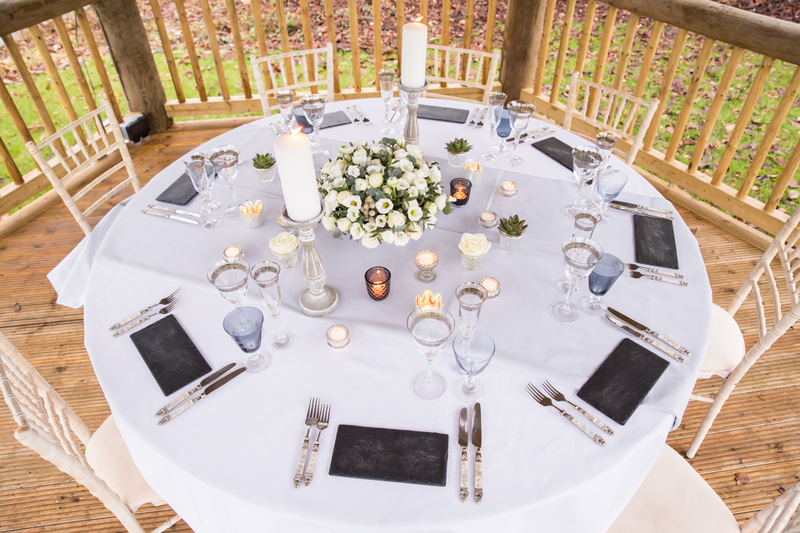 Vary the height of your table décor – a low centrepiece works well on a round table allowing all your guests to see and speak to each other, whilst you can add variations in height by using a combination of tea lights and pillar candles.